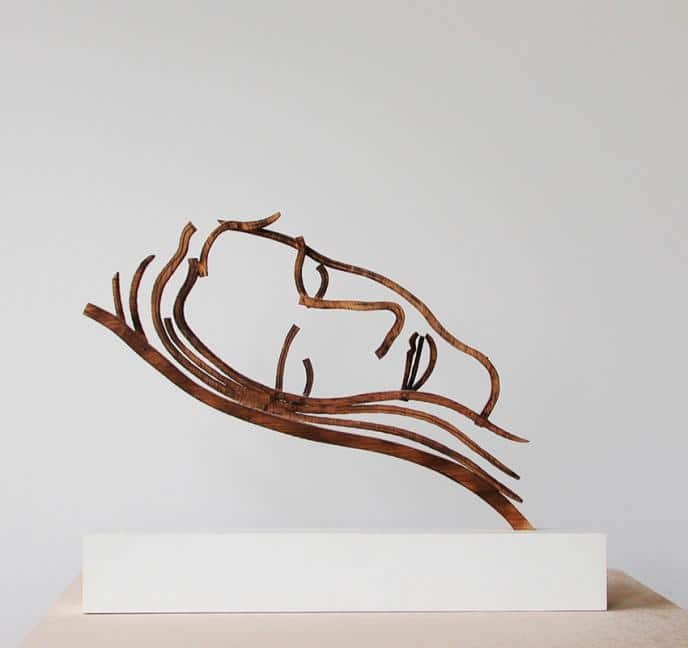 Famous Amsterdam based Dutch artist, Jeroen Henneman, is besides his drawings and other works of art also very known for his ‘Standing Drawings Sculptures’. WonderWood feels honored to present you the very first ‘Standing Drawing’ he created . It is a portrait of his sleeping wife, Caroline. It is a unique piece carved from wood. Jeroen Henneman is a famous Dutch Artist and well known for his sculptures, paintings and drawings. Henneman grew up in Haarlem and studied from 1959 to 1961 at the Institute of Applied Arts in Amsterdam. After he traveled for a long time in Belgium, France , Switzerland and the United States. The artist lives and works in Amsterdam. He calls these sculptures ‘Standing Drawings’. One of the most famous works of Henneman is the monument from 2006 for Theo van Gogh, the ‘Cry’ the memorial, was unveiled in 2007. Another famous work is a portrait of Queen Beatrix.